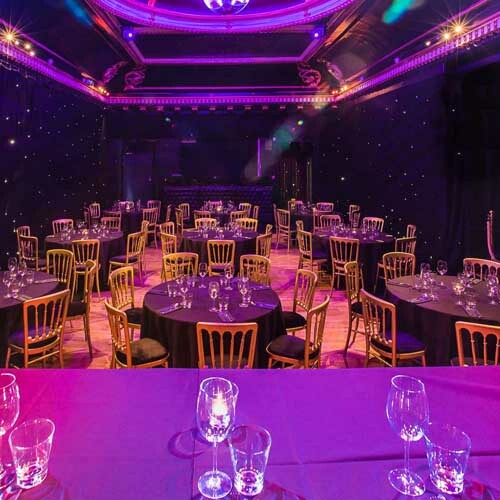 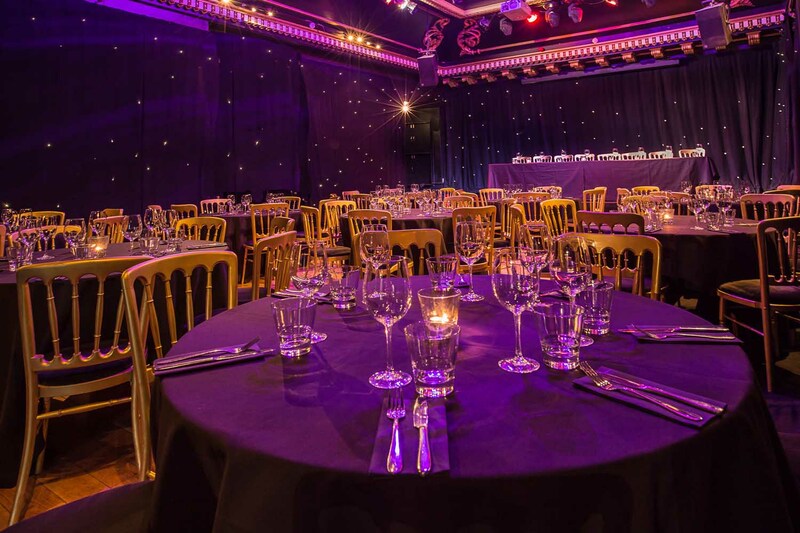 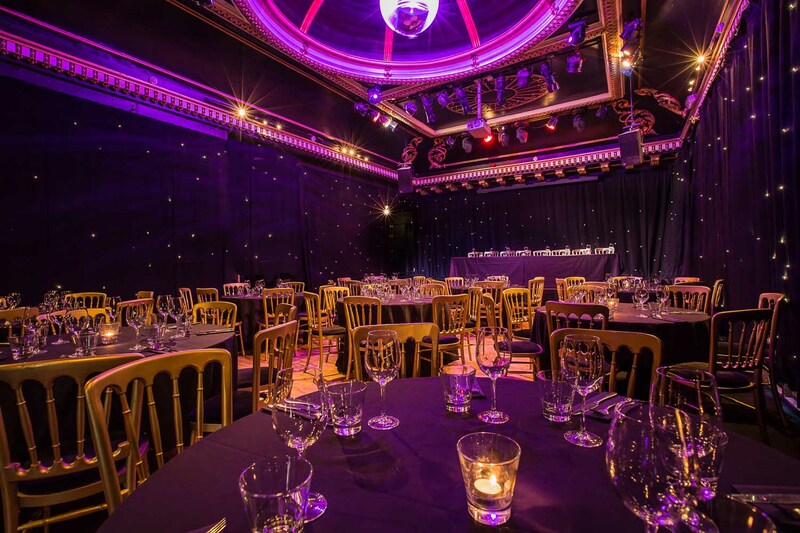 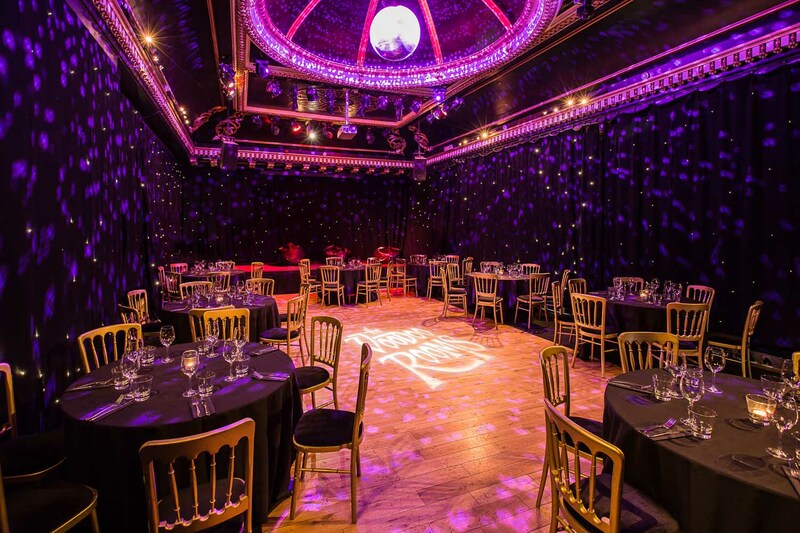 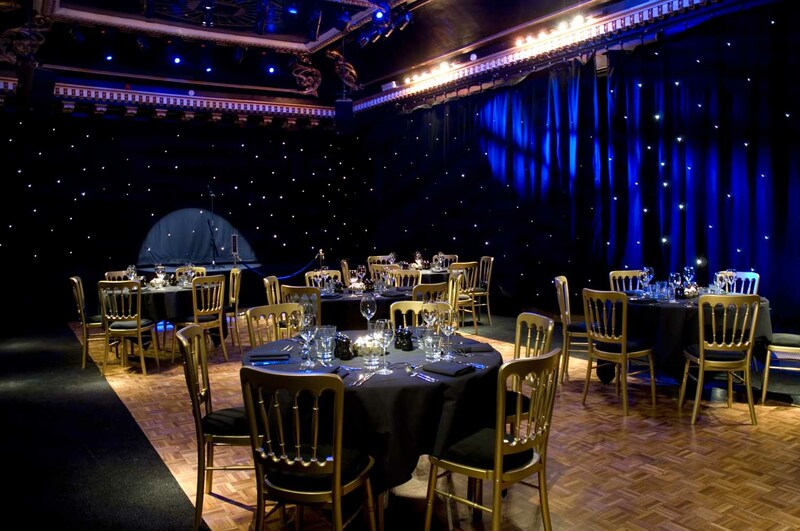 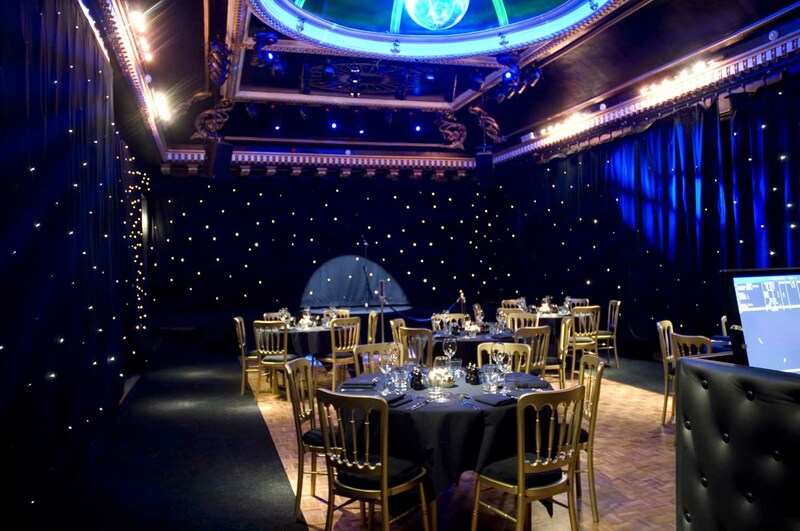 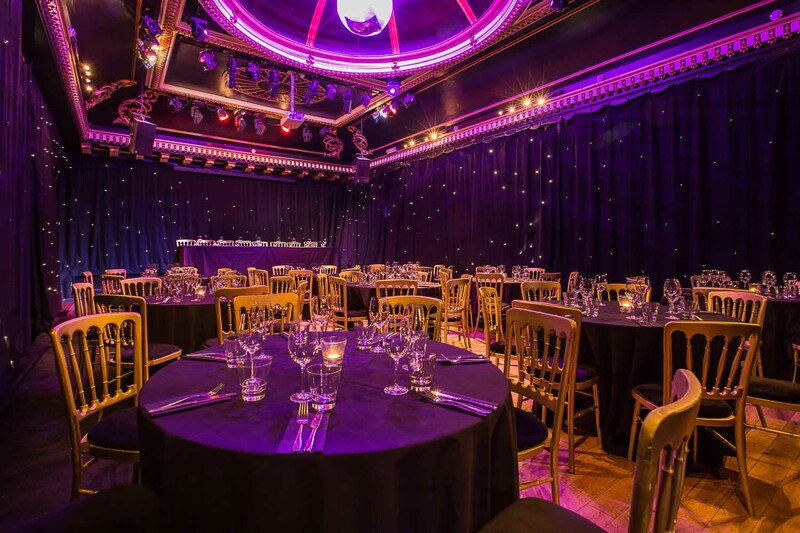 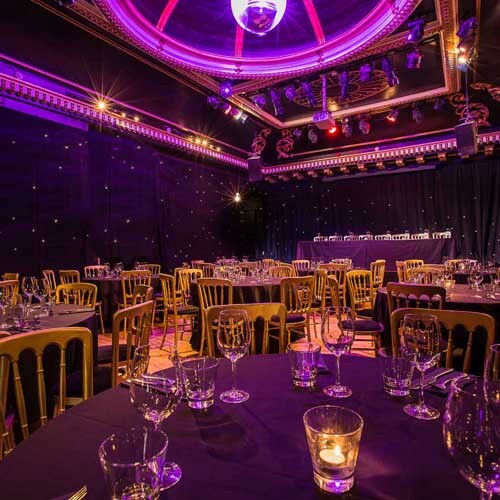 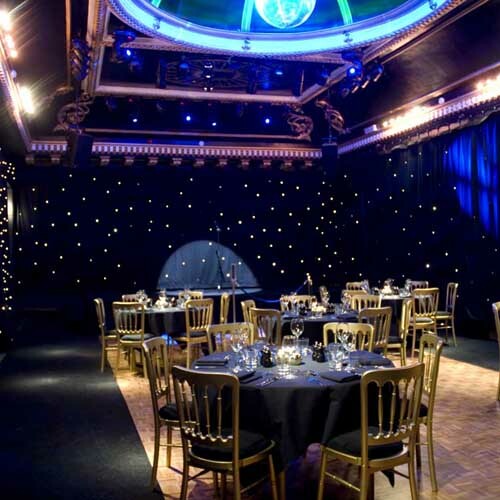 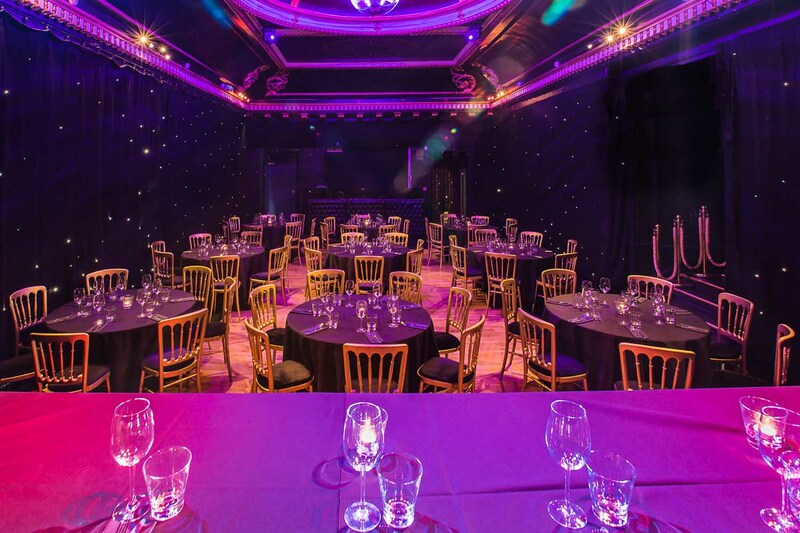 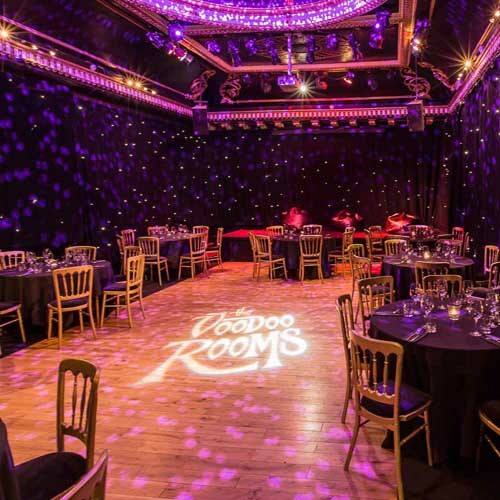 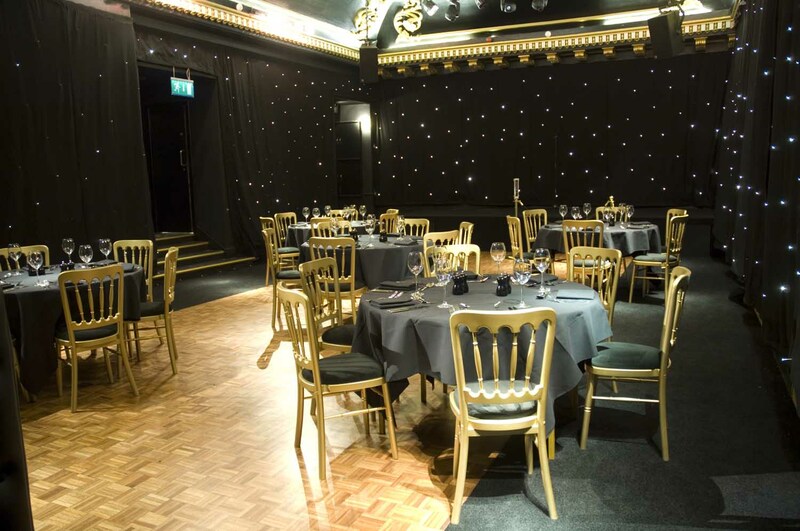 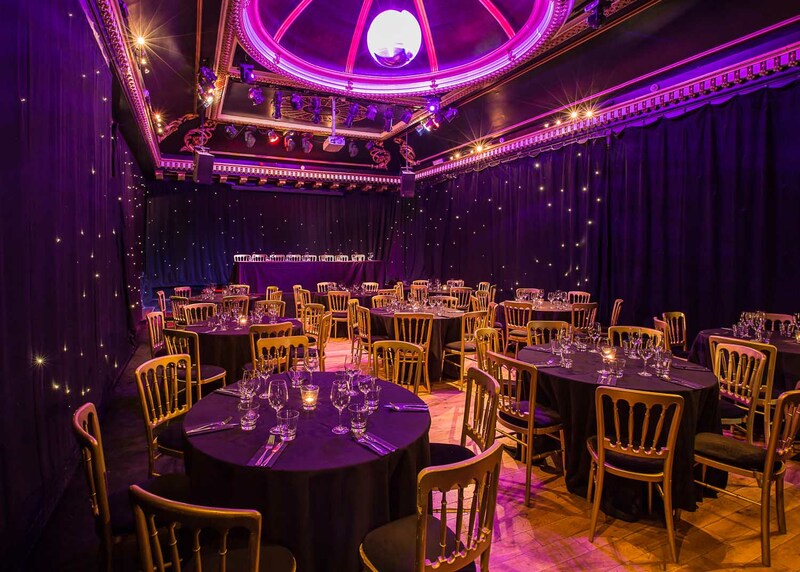 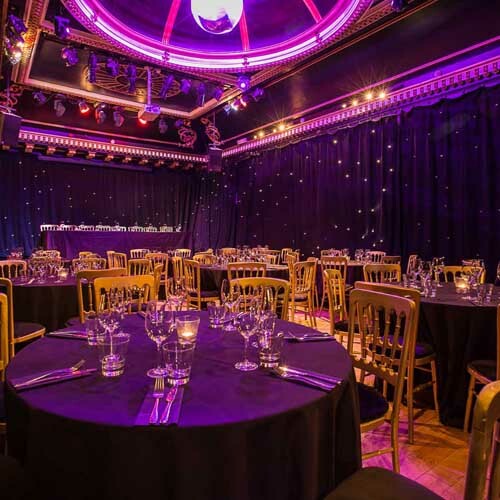 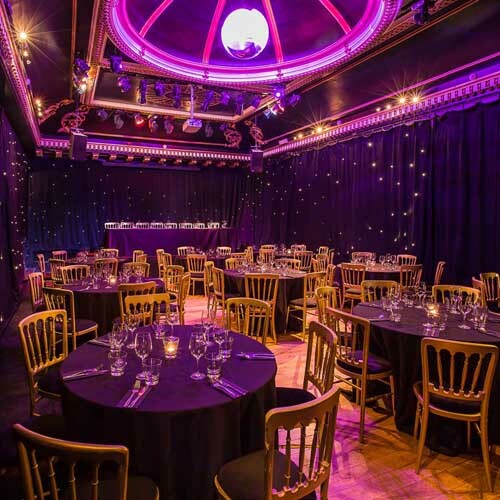 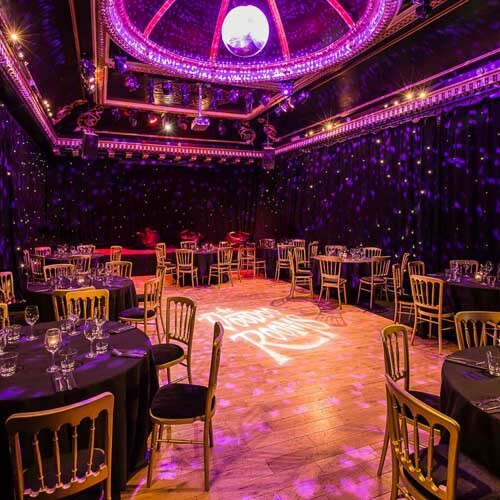 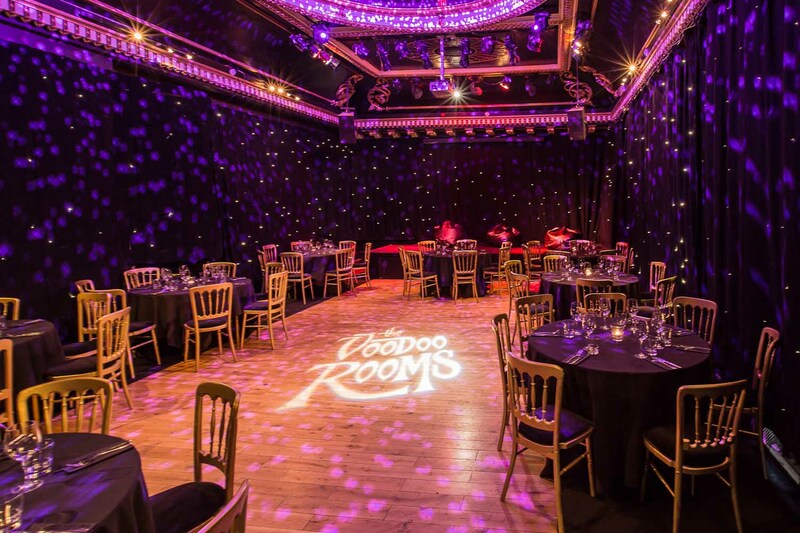 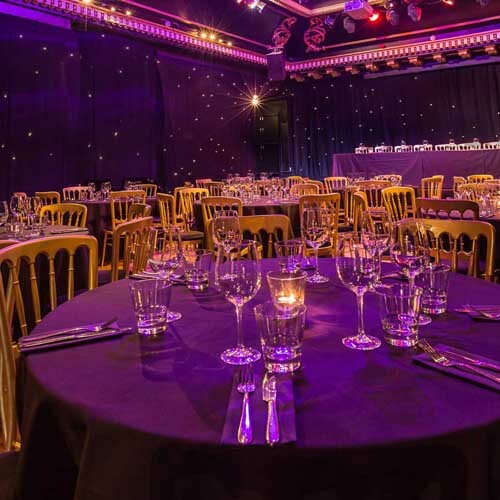 The Ballroom is our largest events space and features starcloth-clad wall, and a domed ceiling, complete with mirror ball. 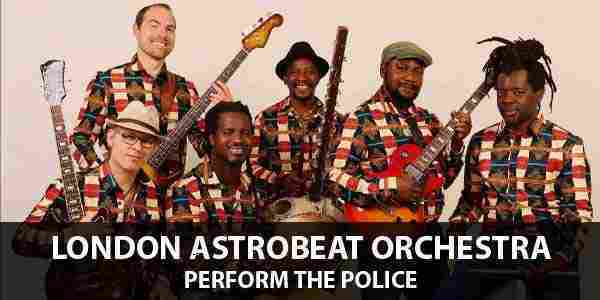 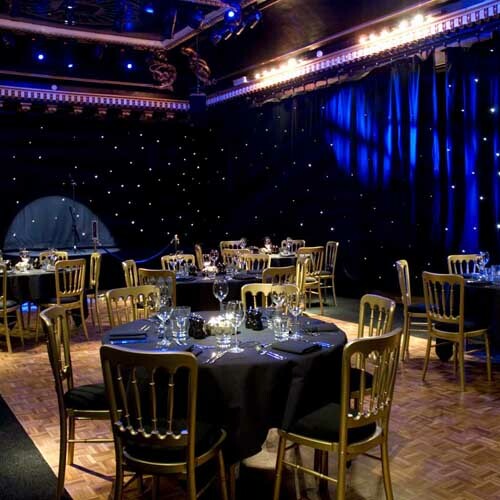 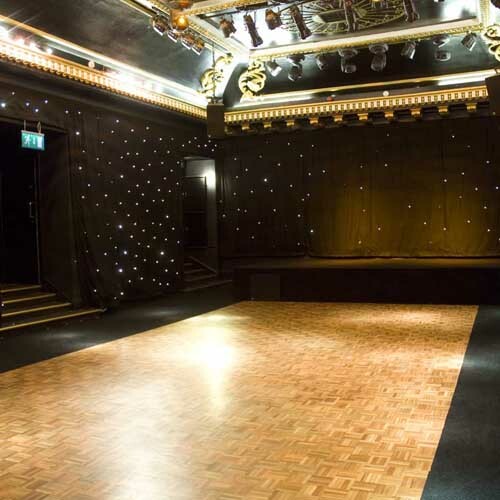 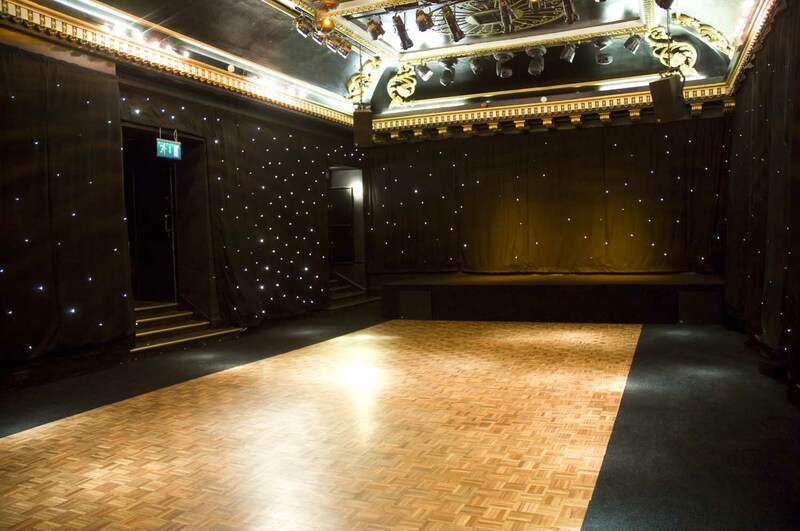 There is a wooden dancefloor, extendable stage area, and it's complete with high spec sound and audio-visual equipment. 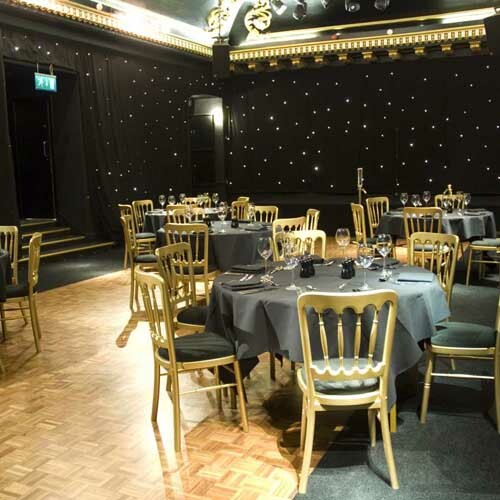 Tables and chairs are flexible and can be set in number of ways depending upon the event.